Steve Cotterill returned and received a warm reception from the home fans but he was far from happy at the final whistle, probably more so given that the player he'd tried to sign, Andre Gray, had scored three of the four goals. He said: "In the first half we were only okay. That slope is quite strong and we had to keep them at bay a little bit. Had we got to half time 0-0, I'd have fancied us. "The second goal before half time was a real kick in the teeth, but I thought we started the second half very brightly and we were the better team. "As the through ball happened (for the third goal), I need to look at it again but I think Frank (Fielding) needs to come out and take that. I think he was the closest to the ball, and that one was a real sickener. "Deep down, whether we like it or not, even the players know we're not going to come back and scored three or four goals because we haven't had a record of doing that this year. There haven't been enough goals in the team for that to happen. "They keep playing and they keep going because they're honest, but they're playing with broken hearts then. Collectively, we don't have enough out there when the game gets a little bit scary for us, and that's tough at the moment. "They'll be better for it, but in the meantime we're going to have days like today and we're going to have sleepless nights, probably throughout the season. "The last thing my players need is me talking about any other players. I'll keep working with them because they've improved massively. We're just not seeing that at the moment in the league table." This was just the way for us to end the year after the defeat at Hull and Sean Dyche said: "A lot has happened in this calendar year. There is major growth in the football club in the bigger picture. "In the more immediate picture I have said all along that the margins are tight. The other day at Hull, even Steve Bruce's overview was that the first player who scored cost him £8 million and the second cost him £10 million. "Sometimes that's the difference and today we've come back home and delivered an absolutely fantastic performance. I think the fans enjoyed the energy, the goals, belief and all the trademarks that we like to think are a part of Burnley. "The quality of the play was excellent and that's six points in the last three games and that's two points per game. You can only ask for your team to deliver that kind of level because you know, over a season, if you are around that mark you have had a good season." He made three changes from the side that lost at Hull with Michael Duff, Dean Marney and George Boyd replaced by Stephen Ward, David Jones and Michael Kightly. 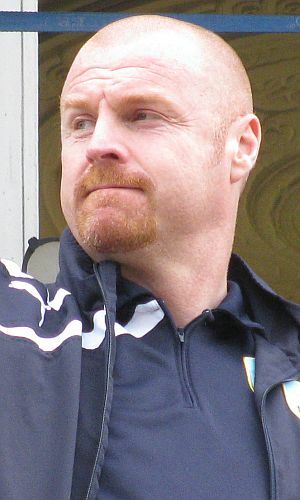 Dyche explained: "George has been carrying a stiff back for a while now and two games in three days affected that situation. Dean has a tight calf and, with his journey back to fitness it was just too much to risk him today. Michael just keeps going, but two games in three days was too much and I explained that to him, so there were lots of good signs from the whole squad. "The lads who came in today have been waiting for their chance and they, and I, take great pride in their efforts even when they are not in the team. They train fantastically well and on days like today it comes and pays you back." The final word had to be on Gray who had been pulled off at Hull. "It was a really good response from Andre because I felt he was quiet at Hull and it didn't quite work out for him," the manager said. "Today he was electric and his finishes were superb. I must also say I thought Sam Vokes today was outstanding, along with a number of players."